Barcelona face Real Madrid for the second time this week on Saturday night, this time hoping to stretch their lead at the top of the La Liga table. The Catalan giants secured a 3-0 win at the Bernabeu on Wednesday night, booking their spot in the Copa del Rey final at the expense of their rivals with a 4-1 victory on aggregate. They meet again just days later in the league, with Barcelona hoping to stretch their lead over Los Blancos to 12 points. Further, a win would put them 10 points ahead of nearest rivals Atletico Madrid ahead of their game this weekend, thus tightening their grip on the league title. Coach Ernesto Valverde has received a boost in that he’s been able to call up an almost full strength squad for the clash, as seen in the club’s tweet below. While the likes of Lionel Messi, Luis Suarez and Ousmane Dembele could be called upon to lead the line, the Spanish tactician can call on several other stalwarts in the squad with Samuel Umtiti also included as he awaits his comeback game from injury. Having been left on the bench in midweek, the French international could get the nod this time round, but much will depend on whether or not Valverde is open to rotating or is insistent on playing his current strongest XI. There is one notable absentee though, as there is no place for January signing Kevin-Prince Boateng in the squad despite the fact that there has been no suggestion that he picked up an injury to rule him out. 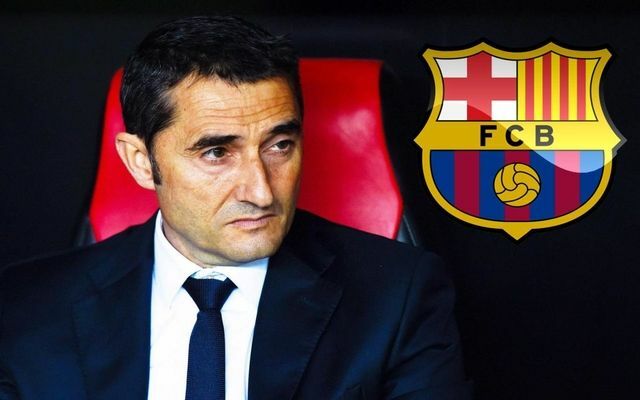 Valverde will hope that he has more than enough at his disposal to secure another win over Real Madrid in what is now a crucial period of the campaign for Barcelona, as they look to finish strong across multiple fronts to win more silverware this year.